Play Redline Racer™ online for free now! In the slot Redline Racer™ you bomb around 5 reels and up to 40 pay lines with a powerful classic car. This car symbol also scores the highest winnings. Your aim in Redline Racer™ is to line up 5 identical winning symbols on one of the win lines that all run from left to right. You want to know how many Twists will soon reach your player account? Just check the speedo! 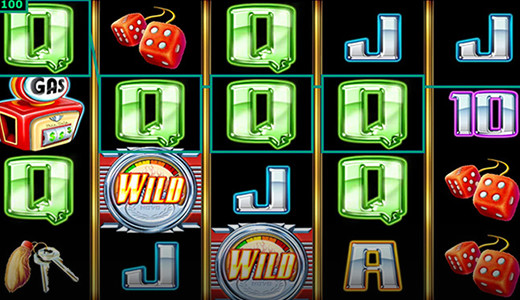 It acts as a Joker symbol that substitutes for any symbol as well as a Scatter in this fast-paced slot: If the speedometer appears 3 times - it only appears on reels 2, 3, and 4 - 8 free games start. During free games the speedometer improves the car symbol if it lands at least once: There are 4 levels in total. 1st Level: The car symbols pays a regular win. 2nd Level: The car symbol is framed yellow and pays a double win. 3rd Level: The car symbol is framed orange and pays a triple win. 4th Level: The car symbol is framed red and pays a quintuple win. If on the 4th level another car symbol lands you earn another free game! The buxom redhead is waiting at the red line holding the flaggs that signal the start of the race, engines are roaring and then they're off: Who wins the race for the most Twists? 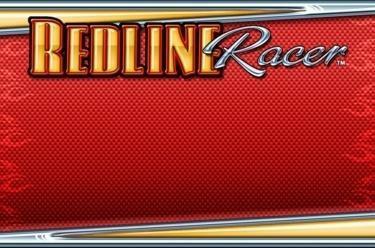 Keep your foot on the throttle because with Redline Racer™ the following applies: The closer the speedometer gets to the red zone, the bigger the winnings in your player account once everyone has crossed the finish line!